Carex stipata plants. commons.wikimedia.org (Accessed 12/2017). 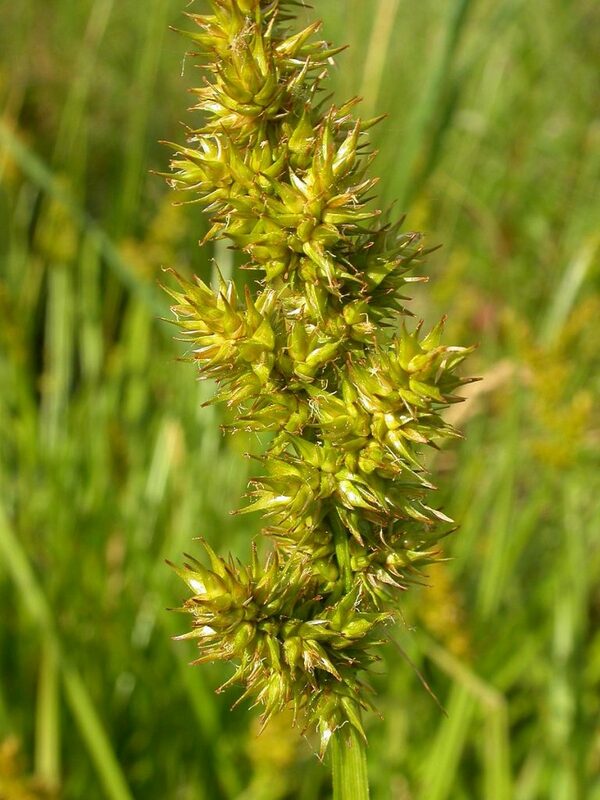 Carex stipata is a perennial sedge, 30 cm to 1 m, tufted; yellow-green, stems thick, spongy, sharply triangular, sides concave. Leaves flat, lax, 0.4-0.8 cm wide, elongate, top of sheaths with prolonged, membranous band on side opposite blade (ventral); inflorescence bracts hair-like, short, inconspicuous. 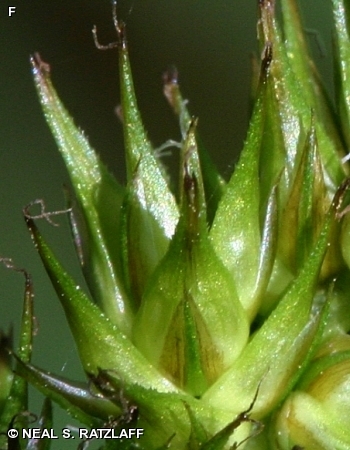 Carex stipata inflorescence. commons.wikimedia.org (Accessed12/2017). Flowers yellow-green, becoming brown, crowded at top of stem, appearing bristly from perigynia beaks, spikes stalkless, all alike, male flowers at top, more than one spike per node; female flowers (perigynia) widely spreading, broad base narrowing upward to a long beak; achene lens shaped; inflorescence narrowly pyramidal to oblong, 3-10 cm long, 1-3 cm wide; blooms and fruits May-June. 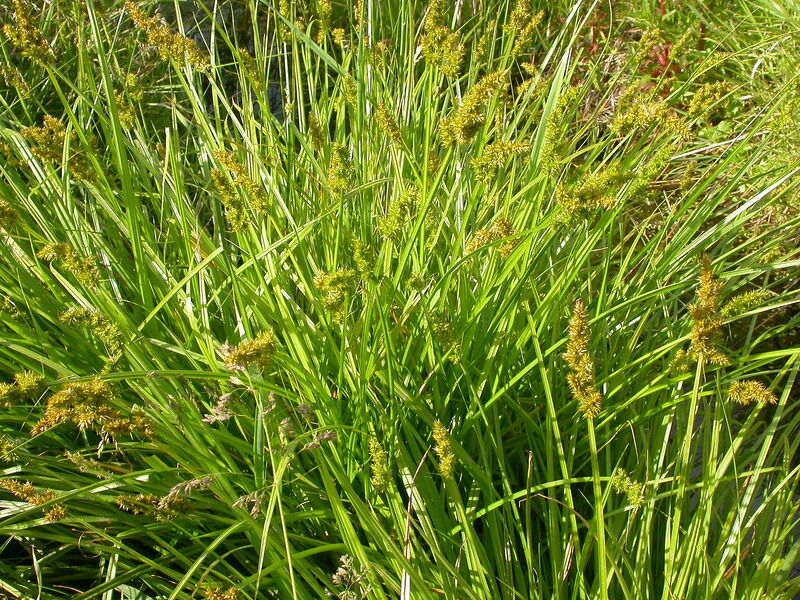 Carex stipita perigynia. © Neal S. Ratzlaff. Fontanelle Forest. fnanaturesearch.org (Accessed 12/2017). Habitat: Wet meadows, marshes, partly shaded swamp forest edges, wet open areas, soil pH 4.9-7.9, tolerant of anaerobic soil, fire, shade, intolerant of drought, and salt (USDA, NRCS 2010).